Hair transplant is a procedure that one goes through to get the hair harvested from a donor area which is known to grow hair in abundance to the recipient area which is in need of the same. Hair growth is a slow process and it may take several months for the results to become visible. Post operative care is very important and it needs to be followed to gain maximum benefit from the hair transplant procedure. The effects of local anesthetic administered at the time of the implant procedure will wear off after about 8 hours and the patient will experience maximum discomfort at this point of time. As the wound in the donor area is bigger than in the recipient area, one should expect more pain in the donor area. To take care of this pain, one should take the tablets prescribed. The pain should normally disappear after 24 hours. If the pain persists, this may indicate possibility of infection in one or more wounds. The clinic needs to be contacted for this. Normally the bleeding from the wounds should stop within 24 hours. If this does not happen, then compression bandage will be applied for another 24 hours and the patient will have to report to the clinic next day to get the bandages removed. Grafts’ healing is faster if the wounds are exposed to air. Application of prescribed antibiotic solution or cream needs to be done to the wounds for better healing and to prevent infections. The day after the procedure when the bleeding has stopped, the patient will undergo an examination by the surgeon to verify that the grafts are in place. The area will be washed gently with sterile solution, shampooed and combed. The grafts will get hidden. Swelling may develop within 1 to 4 days. This can last for a week. One may have to resort to sleeping sitting position or sleeping at 45 degree angle. A bag of frozen peas applied to swelling can help. Washing of hair is to be done in a sink instead of the shower. The crusts need soaking before applying shampoo for them to dissolve. Permanent sutures from the donor site need to be removed after about a week. The follow up visits as directed by the clinic will be required for the surgeon to examine and confirm that the incisions are healing properly and also to monitor for any complications. Crusts around the grafts start falling off within 3 weeks. New hair growth will become visible after 10 weeks. Hair growth will not be uniform at this stage. 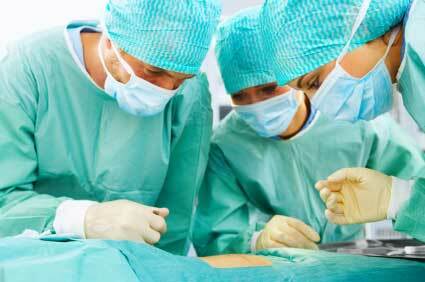 It will be 6 to 9 months after the surgery to realize the full effect of the transplant. 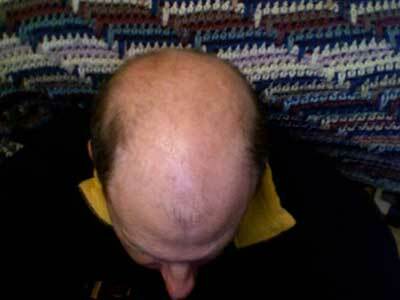 However, hair growth will stabilize 14 months after surgery. Recovery time will vary from patient to patient. Vigorous exercise should be avoided during this period. There are many people who do not want to resort to invasive procedures and hair loss aids to treat their hair loss. For these types of people, there is Organin hair loss treatment, which helps them to conceal their loss without surgery or use of hair loss aids. More..